"Buses" refer to any camp-provided transportation that will transport multiple campers together in a vehicle. 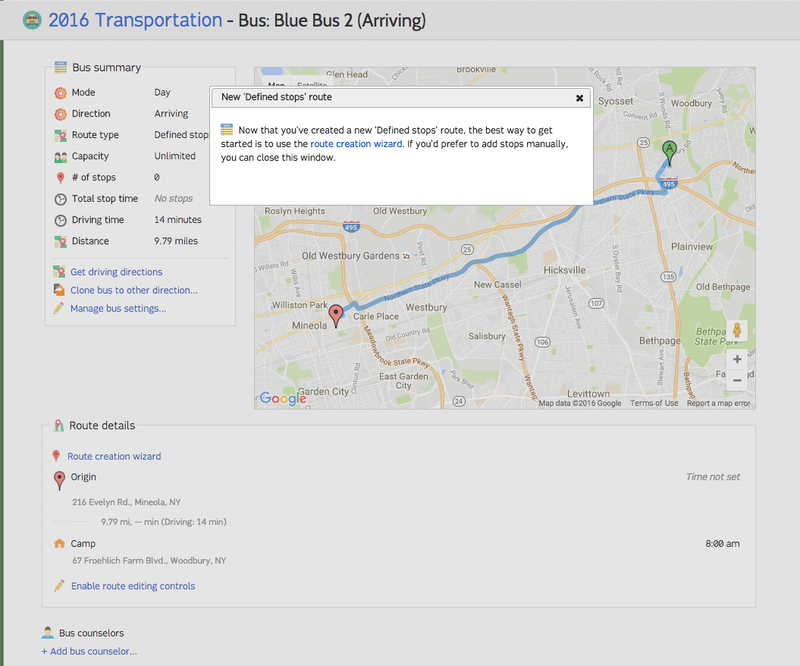 Buses can be added on the Transportation Dashboard. 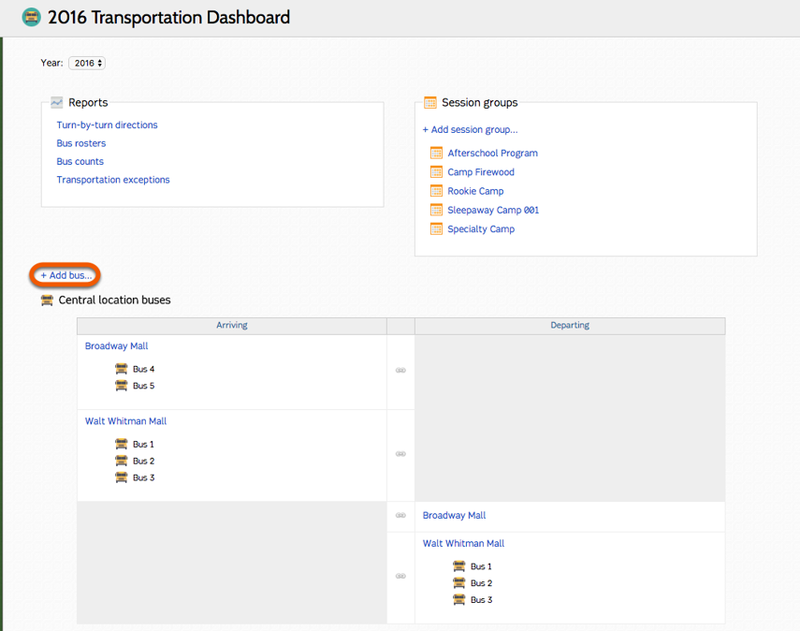 Buses will be added later to session groups to determine the specific buses available during sessions. The mode determines whether the bus will be applied to each day in which a camper is enrolled, or as a one-time arrival or departure at camp. Each bus has a route type which determines the options available for route planning. Defined stops allows parents to select from several pre-set pickup or dropoff locations on a single vehicle. Central location creates one pickup or dropoff location for a bus. Door-to-door allows parents to select home pickup of dropoff. The route will be determined later by the camp based on the home location of each camper. After providing the information, click Add bus. 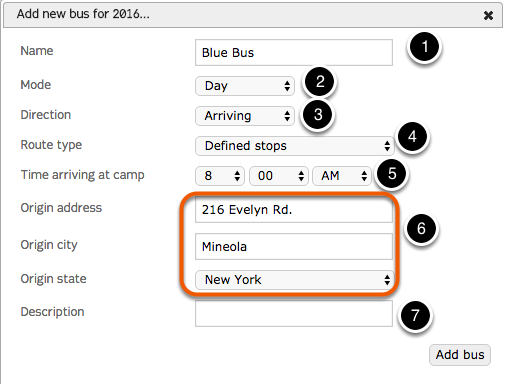 Settings for the new bus will open, and tell you to set your routing options using the "route creation wizard".